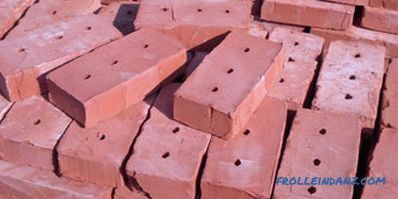 Ceramic brick made of natural clay, the pros and cons of which we will consider today, has long been a popular material for wall construction. Today, it still does not give up its positions - the consumer appreciates its environmental friendliness and reliability. Brick buildings are strong, warm, and they can stand for more than one hundred years - time tested. 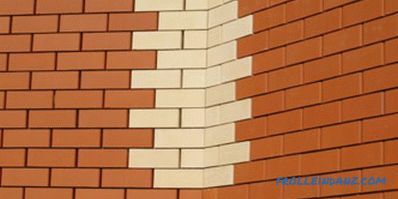 Before we consider all the pros and cons of ceramic bricks, it is necessary to understand what kind of material it is and what properties it has. 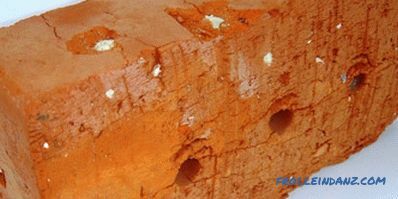 The basis of ceramic brick is clay mass. The smaller and more homogeneous its fraction, the better the product turns out. The best clay is obtained with a single-bucket excavator, which is able to extract it from one layer without mixing it with others. This requires special careers that have already become rare, therefore, more often use rotary excavators. Then the clay layers are mixed, and good ceramics get harder. In this case, an excellent result is achieved by proper firing. The molded mass is placed in a furnace with a temperature above 900 degrees. At the same time, low-melting clay components fasten those that melt longer. The ratio of these components may be different - it affects the structure of products. In their manufacture, it is important to observe all norms, both during molding and drying. There is still unfired brick (aka adobe), which is simply dried in air. But now they practically do not do it, so we will talk about baked products. All their parameters must comply with GOST 530-2007 and GOST 7484-78. Ordinary (or construction) bricks lay walls outside and inside houses. This type of brick can be solid or have voids. The front (otherwise, facing) brick has increased requirements for the outer edge. 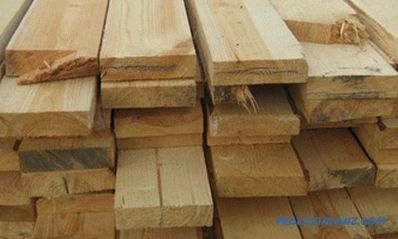 It should look good and be of high quality, able to withstand rain, sun, cold. 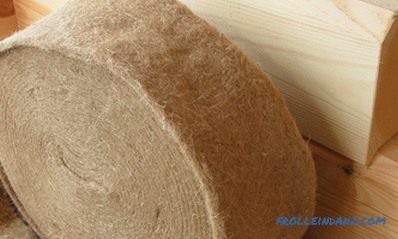 The surface of these products can be smooth or corrugated. Also used staining. 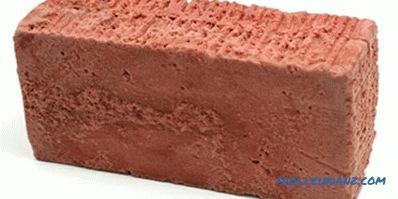 This brick is used for exterior work of any type, including the restoration and lining. 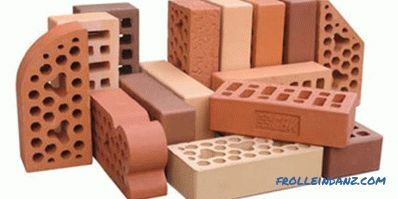 Special types of bricks are used in special conditions. 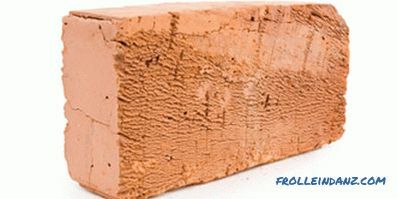 For example, fireclay bricks needed for fireplaces and stoves. Make it with the addition of special clay - chamotte. It is burned to loss of plasticity, and then crushed. A ceramic brick can be corpulent and hollow in structure. 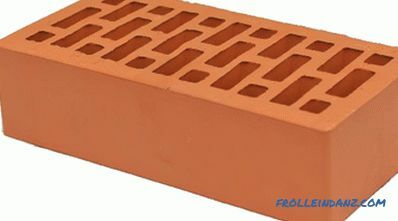 A solid brick is a solid, solid product without holes. 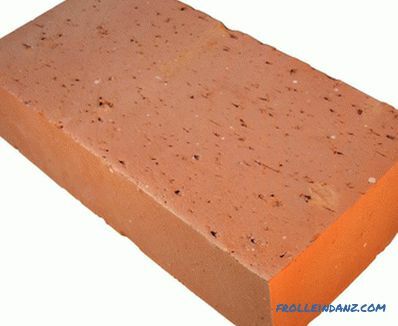 Its weight is from 3 to 4 kg, and thermal conductivity is from 0.45 to 0.8 W / m² · ° C. For construction (especially low-rise), it is used less and less, but there are times when it is impossible to do without a solid brick. For example, when laying a stove or fireplace, as well as the basement, basement walls or pier. It is also needed for the manufacture of strong internal partitions and load-bearing walls. 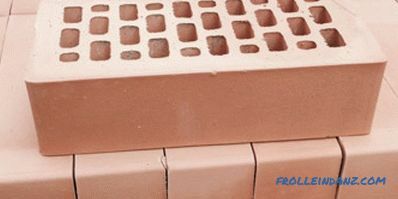 Hollow brick is a product pierced with holes (round or square). Often they are made through. 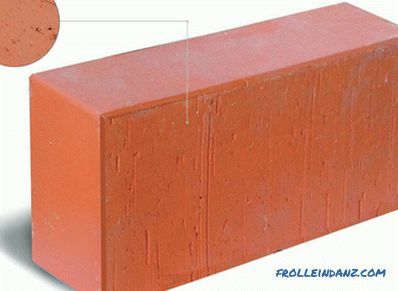 One brick weighs from 2 to 2.5 kilograms, its thermal conductivity is less (from 0.3 to 0.55 W / m² · ° C). Internal voids can be from 15 to 55%. This material is suitable for the construction of external walls up to three floors, internal light partitions. The product can be single, one-and-a-half or double. And in the latter two cases, the brick must have voids. The standard length (otherwise, spoons) is 25 centimeters, and the width (called a poke) is 12 cm. 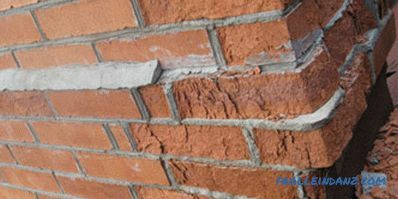 This is convenient for masonry, since two widths plus a mortar joint make up the length. 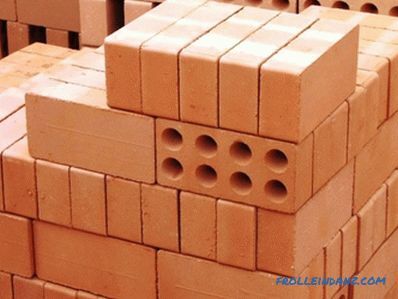 Bricks that received the marking 0.7 NF (otherwise, "Euro") are used we have less. Their height is standard 6.5 cm, but the width is somewhat reduced and equal to 8.5 cm. There are also modular single products (1.3 NF), which also have a standard height of 6.5 cm, and the remaining dimensions are more solid (length - 28.8 cm, width - 13.8 cm). The brick is marked with the letter "M" and numbers from 50 to 300. 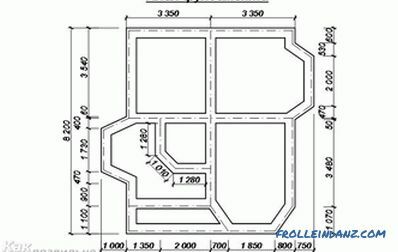 They characterize the maximum allowable pressure in conditions when three forces act on the product at once. This stretching, compression and flexion. This pressure is measured in kilograms per square centimeter. The larger it is, the stronger the brick. Products M 50 are suitable only for fences and small partitions.It is possible to lay the walls (any, except the bearing ones) with the marks M75 and M100. If you want to lay down the arch or bearing wall, then you need to purchase products of the brand is not below M125. 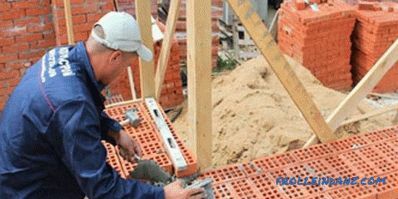 Socles with foundations put brick M175, M150 and more durable. In addition to the traditional red, you can call peach, chocolate, beige, yellow and all sorts of shades. 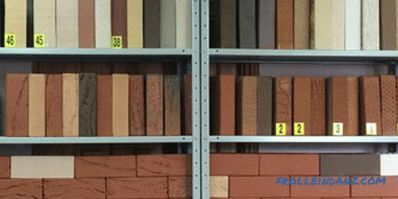 The color range of facing bricks is especially rich, as it is often colored further. As mentioned, besides single, there is a double, one-and-a-half brick, as well as additional variations. 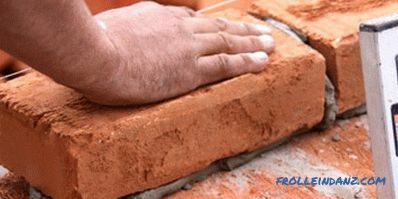 The laying of ceramic bricks does not differ much complexity - the main thing is to acquire basic skills. Good strength indicators make brick buildings very durable. 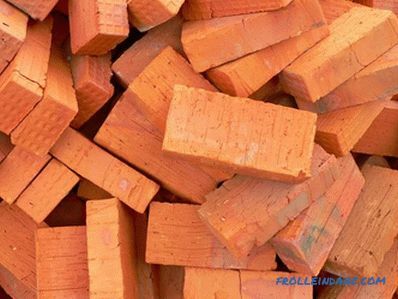 Clay is an eco-friendly material, therefore bricks made from it are safe for humans and the surrounding nature. + They have good sound insulation. Brick walls muffle noise well. 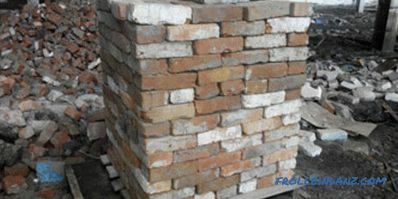 Ceramic bricks retain heat well (the last quality is especially characteristic of hollow products). 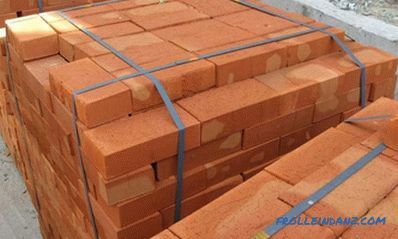 The price of ceramic bricks is low (for example, compared to clinker brick) . Sometimes the geometry of products leaves much to be desired, because of which the laying becomes difficult (this is on the manufacturer’s conscience). When raw materials are processed poorly, limestone, which is always present in clay, remains in bulk for bricks. Then in the brick pop up "dutik". In these places, the product absorbs moisture and collapses. Ceramics may spill due to incorrect choice of mortar or product brand (not enough high strength). - Easily damaged during transportation. 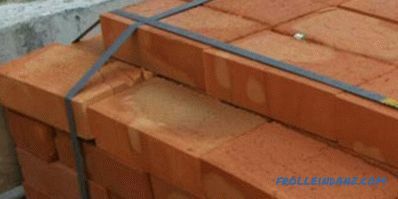 During transportation to the construction site, a brick may be damaged - the edges break off of it - you have to reject some of the material. More often it happens with inexpensive varieties that are shifted only along. 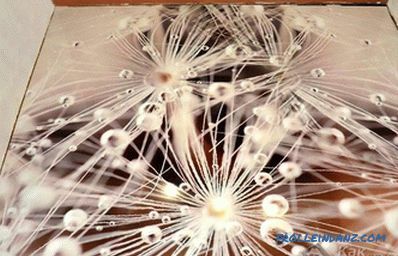 Water absorption by ceramics (especially porous products) quite high - up to 10 percent. Because of this, the number of freezing and thawing cycles is reduced. 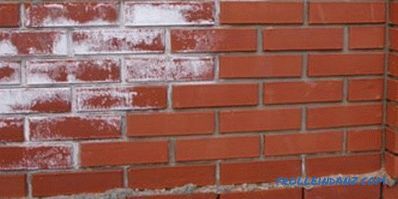 On the brick wall, over time, ugly whitish streaks may appear - efflorescence. There is such a problem because of chemical corrosion - when a house near the chemical plant is, for example. Or in the composition of the bricks "chemistry" is added. 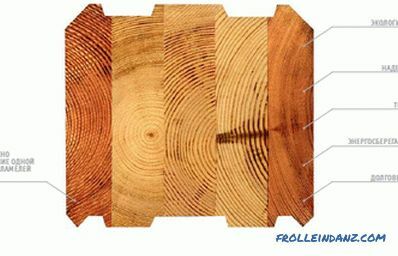 As you can see, some of the disadvantages of this material are present only in products of unscrupulous manufacturers. When raw materials, for example, substandard. Or the technology is not respected. So choose a ceramic brick carefully and carefully, buying it from reliable suppliers and manufacturers.